Nick Schultz | The Phoenix Loyola first-year center Franklin Agunanne celebrates with fans after a victory over Grambling State Nov. 16. The Loyola men’s basketball game against Missouri State University Feb. 17 is officially sold out, according to the Loyola Athletics website, meaning Gentile Arena will hold a capacity crowd for the fifth time this season. Loyola saw two other games — against University of Nevada Nov. 27 and against Illinois State University Jan. 12 — sold out before the season, and the Ramblers’ game against Southern Illinois University Jan. 27 is also listed as sold out, The Phoenix reported. A full house of 4,963 came out for Loyola’s game against Furman University Nov. 9 when a new ticket policy was announced which allows students to sit in unsold seats. 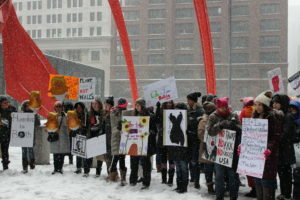 Loyola’s game against Bradley University March 2 had 89 seats remaining as of time of publication. 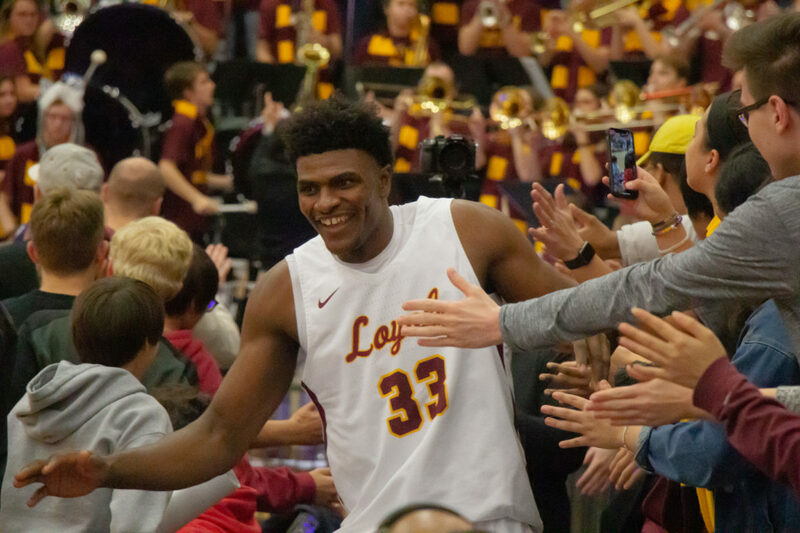 If that game sells out, Loyola will sell out its last three weekend home games of the season. Prior to last year’s season finale against Illinois State, Gentile last sold out when Michigan State University came to Rogers Park in 2003. The latest sellout will mark the sixth at the arena in the last calendar year. 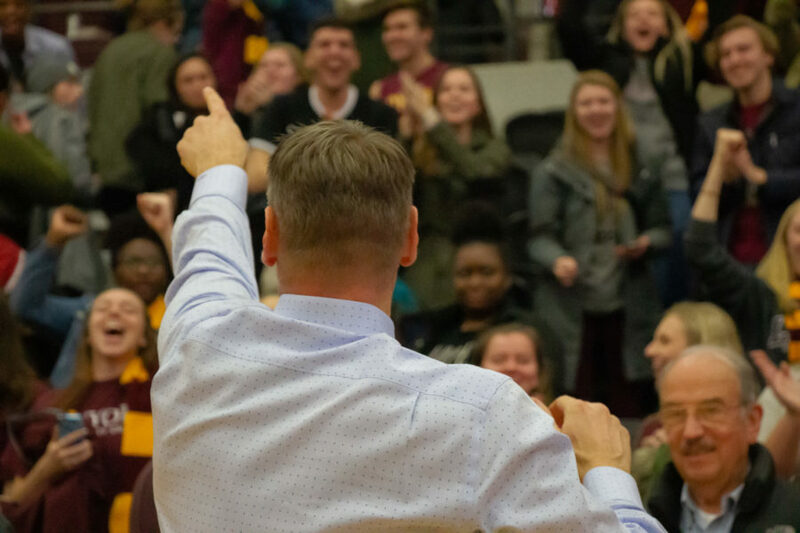 Nick Schultz | The Phoenix Loyola men’s basketball head coach Porter Moser celebrates with fans after a victory over Grambling State Nov. 16. In their first season since making the NCAA Tournament Final Four last year, the Ramblers sit at 12-7 overall and 8-3 at Gentile. They also have a 5-1 record in Missouri Valley Conference play, putting them in a tie for first place with Valparaiso University. Game time between Loyola and Missouri State is scheduled for 3 p.m. Feb. 17, and the game will be broadcasted on either ESPNU or ESPN3.